Electronic cigarettes HAVE NOT been approved for smoking cessation, but the fact is, the vaping community is primarily made-up of former tobacco smokers. Although the research is limited and there are conflicting reports about the effectiveness of e-cigarettes on smoking cessation, millions of vapers have successfully used them to quit smoking and kick the habit for good. It should come as no surprise that smokers gravitate towards electronic cigarettes because they mimic the act of smoking and offer so many benefits over tobacco. Unfortunately, not everyone who picks up an electronic cigarette will be able to quit, but there are certainly some things you can do to increase your chances and avoid a smoking relapse. The worst mistake you can make when you first start out is picking the wrong type of device. Electronic cigarettes come in various shapes and sizes, so do a little research before you make your first e-cig purchase. Some people make the mistake of starting out with a cheap, disposable e-cigarette from a local gas station or convenience store, only to find out that it tastes horrible or that it doesn’t fully satisfy their cravings. Burnt / Bad Flavor – If you start getting a burnt or stale flavor on a device that worked perfectly before, it’s likely that your cartomizer / coil needs to be cleaned or replaced. 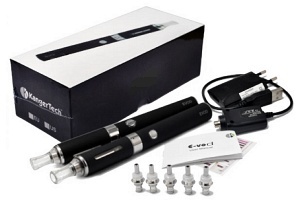 Each device will have slightly different procedures for cleaning, so refer to the included instruction manual, visit the manufacturers website, watch tutorials on Youtube or visit helpful online vaping forums for assistance. In some cases you may need to replace the coil, but if replacement coils aren’t an option you may need to purchase a completely new cartomizer or tank. Limited Vapor Production – An old or dirty coil will also reduce the vapor produced by your device. A weak battery that hasn’t been fully charged (or recharged) recently can limit vapor production as well. Give your tank or cartomizer a good cleaning and make sure the battery is fully charged. If you have a backup battery, give that a try and see if it improves the performance. Reduced Battery Life – If you notice that your device is cutting out more quickly than normal and it’s progressively getting worse, more than likely the battery needs to be replaced. Carry a backup battery (if necessary) until you’re ready to purchase a replacement. One of the easiest ways to relapse back into smoking is dead battery with no emergency backup on-hand. Device Stops Working Completely – If your device quits working completely… don’t panic. It could be as simple as a faulty charger, or the battery may need to be replaced. 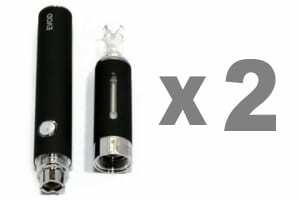 If the power is activated but you’re getting no vapor, check the battery connection and make sure your cartomizer / tank is fully connected. Take a look at the battery contact and make sure it isn’t covered with dried or burnt e-liquid. If so, give it a good cleaning with some rubbing alcohol. * For tips and assistance about a specific device, consult the manual or contact the vendor where you purchased it. Or, try searching online forums such as ECF, Reddit and Vaping Underground. #3 – Always Have a Back-Up!!! Beyond choosing the right product and understanding how to properly maintain and care for it, this is probably the most important tip to consider. I’ve watched several of my “students” successfully quit smoking, only to give in to the temptation several months later after their e-cig unexpectedly died. A night out on the town can quickly turn into a relapse if your battery goes kaput and you have no backup. Having an extra battery is a good place to start, and keeping it on-hand whenever you’re away from home will help to ensure that your cravings will always be met. What often happens, is a new vaper starts out with two batteries, and one eventually dies. Rather than rushing out to buy a replacement, they push their device until the last minute and they’re suddenly left empty-handed. It’s a whole lot easier to rush to the corner store for a pack of cigarettes than it is to buy a replacement battery at the last minute. Don’t procrastinate… and don’t let money be your excuse! You always found a way to purchase those cigarettes, right? Always have at least one backup battery and extra cartomizers / tanks and replacement coils. 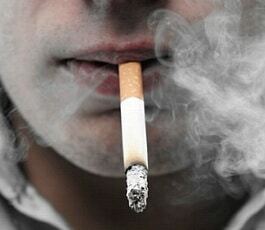 Don’t let smoking be an option. Maybe you’ve already found a flavor (or flavors) that you like, but if you haven’t, keep experimenting… there are literally hundreds of different options to choose from! One of the big advantages to vaping is the wide array of flavor choices – from traditional tobacco and menthol varieties, to sweet candy and fruit flavors, to rich and flavorful dessert blends. A recent survey published in the International Journal of Environmental Research and Public Health suggests that flavors play an important role in the experience of e-cig users and may actually assist in reducing smoking consumption. It’s also important to note that many new vapers experience a phenomenon known as “vapers tongue.” This is a strange condition that occurs when your olfactory system, responsible for allowing your brain to decipher different flavors, becomes overloaded and shuts down. It’s definitely more common for recent smokers, and it may result in the complete loss of flavor for days or weeks at a time. There are several different ways to combat vapers tongue, but experimenting with different flavors can help remedy the problem, and it’s another way to help prevent a smoking relapse. #5 – Stay Focused… Don’t Give Up! No matter what method you use to kick the habit, it’s important that you to stay focused on your objective and remain disciplined. Even though the transition may seem a little less painful with e-cigarettes, it’s just as easy to relapse if you’re not serious about making the switch. Just like any addiction, you’re bound to make mistakes along the way, so don’t let a one-time relapse turn into a complete failure. Don’t give up! Thousands of smokers have successfully quit smoking with e-cigarettes, but it will still take determination, hard work and a willingness to learn.